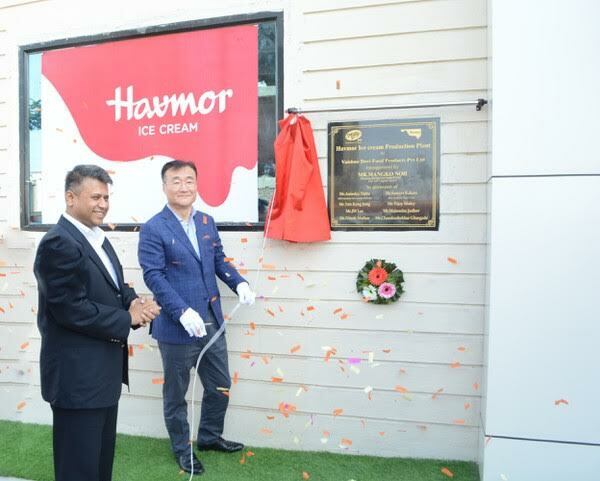 Ahmedabad: Havmor, India’s leading ice cream brand and a wholly owned subsidiary of South Korean conglomerate Lotte Confectionery, has announced the launch of its new third party manufacturing plant in Solapur, making it the company’s third manufacturing unit after Gujarat and Faridabad. The facility is run by Vaishno Devi Foods Products Pvt Ltd and will be completely dedicated for Havmor Ice Creams. The facility was inaugurated on April 10 by Mang Ko Noh, Lotte Confectionary and Anindya Dutta, MD, Havmor Ice Cream. The company in its statement said the new facility is one of the most-advanced plants of its kind, with specially automated technology and machinery. Setting up a plant in the south-western region of Maharashtra, the company will now cater to the requirement of the Southern market. Thecompany statement said, Havmor already has a presence in the western and northern markets. With the expansion of this new facility, the brand will mark its presence and fill the requirement of the southern region as well.